TX (Programme Transmission date and time) cards and invitations for the BBC Natural History Unit and independent film companies. 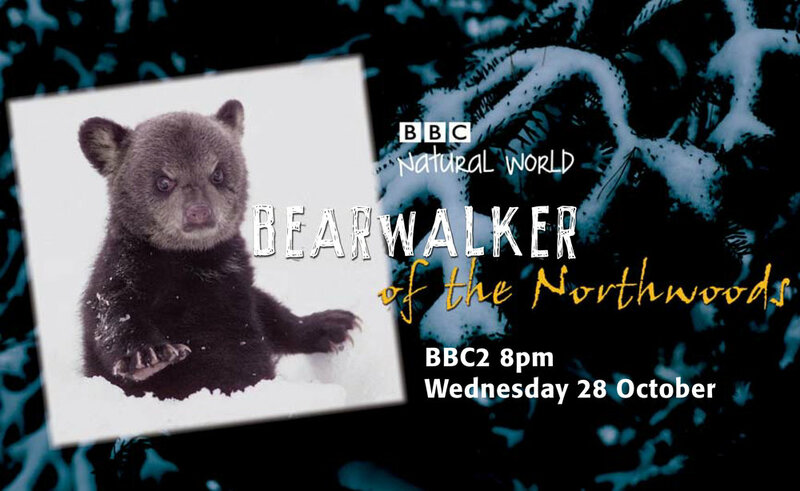 TX card for a 60 minute programme about an amazing Bear biologist in Minnesota who works and walks with black bears. Party invitation to celebrate the opening of Bristols Natural History film festival, Wldscreen. Work undertaken for Icon films.